Students in pairs / groups select a slide from 1-25 then think of a word that is related to what is on each slide. 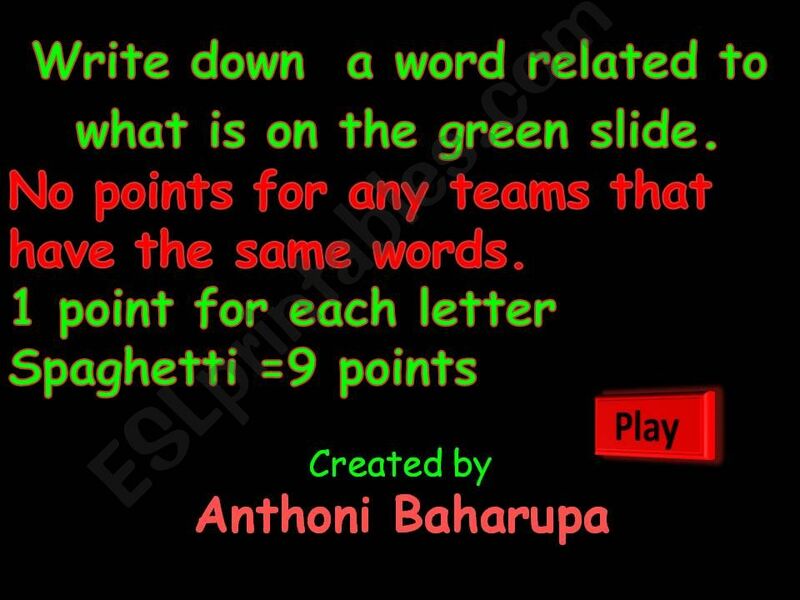 If another team has the same word then both teams get no points. Great for revision and word association. All of the slides are hyperlinked for ease of use. Best used with Mini-whiteboards to prevent cheating!